Shard is a gryfon in danger. 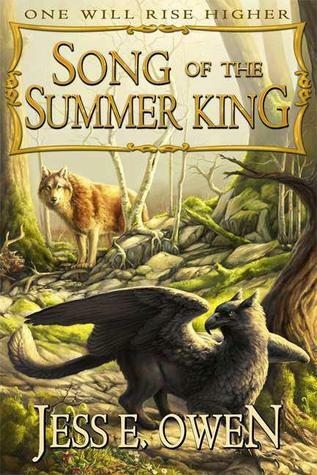 He and other young males of the Silver Isles are old enough to fly, hunt, and fight–old enough to be threats to their ruler, the red gryfon king. In the midst of the dangerous initiation hunt, Shard takes the unexpected advice of a strange she-wolf who seeks him out, and hints that Shard’s past isn’t all that it seems. To learn his past, Shard must abandon the future he wants and make allies of those the gryfons call enemies. When the gryfon king declares open war on the wolves, it throws Shard’s past and uncertain future into the turmoil between. Now with battle lines drawn, Shard must decide whether to fight beside his king… or against him.